One of the main purposes of registering a Trade Representative Office of a foreign company in Bulgaria is the opportunity for advertisement of the company’s activity in search of new markets. Through this registration every international company can freely and legally promote its own activity or make research on the local market. Although the opportunities are limited since the registration strictly prohibits economic activities, i.e. sales and purchases, the main goal behind it is determination of all perspectives for investments in Bulgaria and the economic considerations of the latter. The Bulgarian Trade representative office is regulated by the Bulgarian Investment Promotion Act which permits foreign persons to obtain a Type D visa and residence permit in Bulgaria. This opportunity is available to foreign nationals who wish to promote and expand their foreign business in Bulgaria. Assistance can be provided to obtain a Type D visa and Bulgarian residence permit based on the registration of a trade representative office of your foreign company in Bulgaria. Our standard fee for registering your new trade representative office in Bulgaria and preparing the requisite set of a Type D visa application documents and Bulgarian residence permit for a single applicant is only 1,499 EUR. You may add second and third representatives to your trade representative office and assistance with a Type D visa for only 799 EUR per each applicant. You receive a Bulgarian ID card for foreigners that allows multiple entries and stay in Bulgaria. You may renew your Bulgarian ID card for foreigners for up to 5 years. No need to reside in Bulgaria to renew your residence permit. Holders of a Bulgarian residence permit can travel legally to Romania, Croatia and Cyprus for 90 days in any 180 days period without visa. After five years you may apply for a Bulgarian permanent residence permit. The first permanent residence is granted for a five years period. Thereafter, you may apply indefinite permanent residency or for a Bulgarian citizenship & passport. You enjoy a relaxed visa application process among Schengen Area countries. You may move your family to Bulgaria. No fee for a registered office address! We will provide a top location registered office address for your Bulgarian trade representative office free of charge for as long as you need! Reliable Accounting Service in Bulgaria! Annual Financial Statement/ Tax Return for the previous year. The above certificates need to be legalized in the country of incorporation of the foreign/ EU company before they can be legally valid in Bulgaria. For more details about legalizing your company certificates, please contact us. Additionally, a set of registration documents (Power of Attorney, Specimen, etc.) will be emailed to you and needs to be attested following one of the valid attestation/ legalization methods. To change any of your trade representative office circumstances, you will need to authorize us to act on your behalf and at your expense related to the particular change. The authorization requires few documents to be attested in the nearest Bulgarian embassy or consulate, or apostilled. Changes in the circumstances take up to 3 working days after receiving authorization. If you have any questions regarding changes in trade representative offices, please do not hesitate to contact us. If you do not require assistance with obtaining a Bulgarian Type D visa, our ordinary service fee to open a trade representative office in Bulgaria is only 699 EUR. 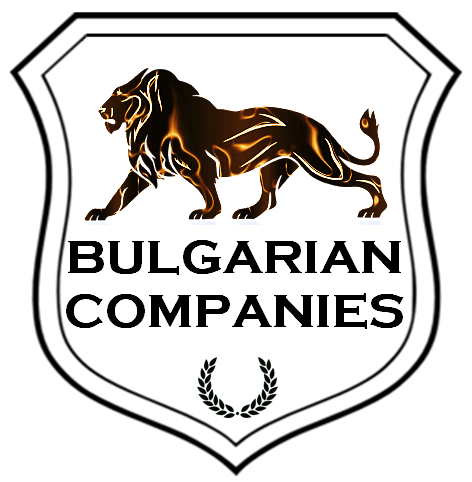 Express registration of a trade representative office in Bulgaria is offered at 799 EUR. *Our service fees include the translation and legalization of your foreign company documents for the registration of the trade representative office in Bulgaria. You may order registration of a trade representative office in Bulgaria via PayPal. Please take a look at our prices to see the most competitive prices for registering trade representative office in Bulgaria. Please contact us for more details about registering a Bulgarian trade representative office. Registration of a trade representative office in Bulgaria. For more details about invitation letters and applying for a Business visa through the opening of a Bulgarian trade representative office, you may request a call back.